“WooCommerce Unlimited Product Information” is the best plugin for show the unlimited products information individually. “WooCommerce Unlimited Product Information” plugin is fully customizable by admin. Admin can add unlimited feature for a product from product entry page. Just insert a title and write necessary text (link also if admin want) for the products and it will show to the product details page of frontend. 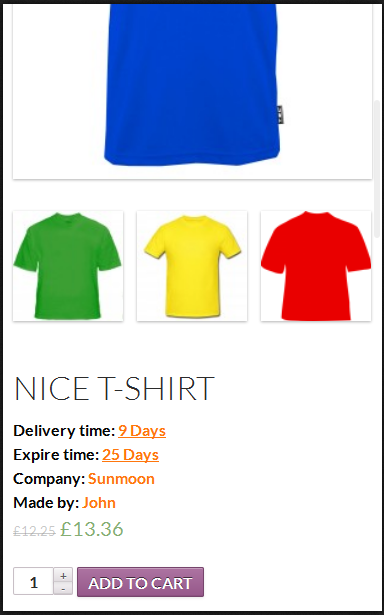 It is very essential plugin for woocommerce site. It is compatible for version wordpress version upto 4.8.1 and woocommerce 3.1.1. Admin can Add Dynamic Text,with link and sort order also. Change Text Color, font bold from Plugin Setting Page. Responsive text and Working nice with any theme.